Finley and Neal is a tax, accounting and financial services firm located in the Heart of Angleton. The principals of the firm (Barry L. Finley and Amanda G. Neal) are both CPAs and Certified Financial PlannersTM, and started their practice in 1990. Our clients encompass a broad spectrum of businesses, owners of businesses, young people beginning their careers, retirees and people approaching retirement. We offer a range of services designed to accompany our clients on their financial journey through life’s milestones. Our office is located in the Prosperity Bank Building at the corner of Hwy 288 and Hwy 35 in the Heart of Angleton. Monday January 14, 2019 Finley & Neal will be closed for an off-site meeting. We will resume normal business hours Tuesday January 15th at 8:00 a.m. 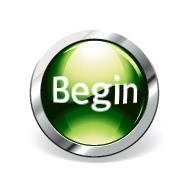 Please click 'Begin' to take our quick client survey.